We could go round in circles discussing which treat is the ultimate Christmas sweet—is it cookies? Bûche de Noël? Or perhaps fruitcake? 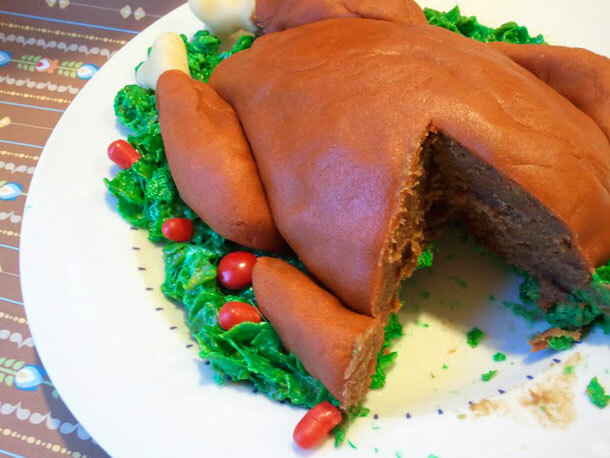 But instead of engaging in this wild goose chase, why not make a Christmas Goose Cake? 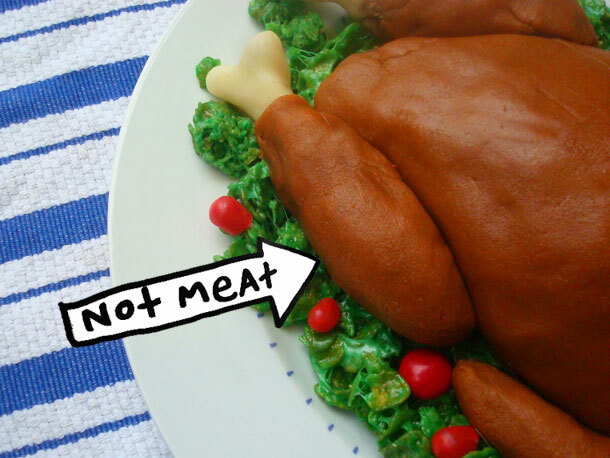 Paying homage to a classic Christmas dinner, this treat isn't meat—it's totally sweet! It's a trompe l'oeil designed to look like a Christmas goose, made from decadent cake crumbled with frosting and covered with rich marzipan. Extra points for serving it on an equally sweet bed of either candy salad or artfully arranged batch of cornflake wreath batter! For the full recipe and entry, click on over to Serious Eats!